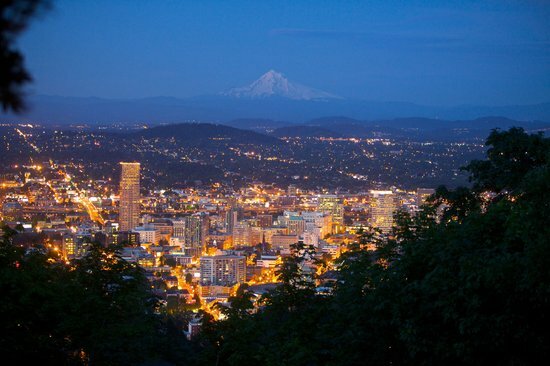 My travel to Portland, the city of Roses, is going to start in a few hours. I have always loved being a globetrotter....visiting different places, trying different fun things, meeting a lot of new people...all of it. I am not much of a planner though. I have being to places and gone with the flow. This time, I wanted to do things a little differently. 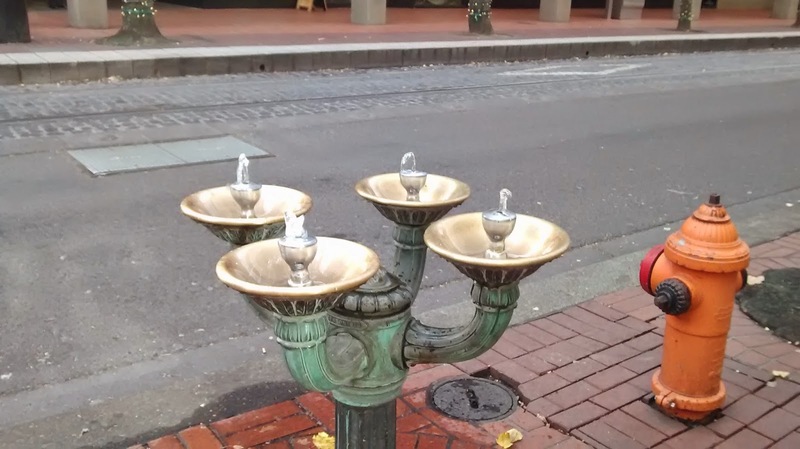 This time, I thought of making a to-do list of all the things I would like to do, see, eat, drink etc in Portland. Everytime I complete executing one task, I will tick it off. Lets see, by the time I am back in India, how many of these items can I get done with! I am sure this list is going to be modified on the go, as and when I get to explore the city a little more. P.S. - Ofcourse all of these action items are to be executed only after the work hours of the work-week. I am a blogger...someone who likes to share her views and expressions with others by simply putting them in words. 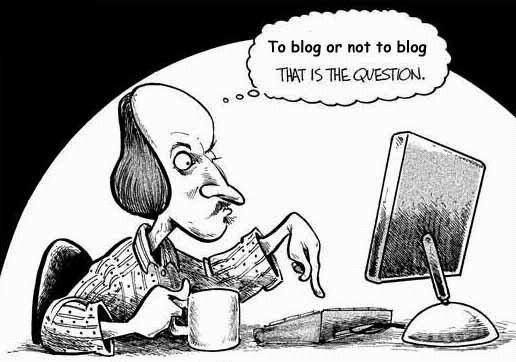 But whats a blogger without his (or her) followers and readers? (Well, here I am not talking about those bloggers who maintain private blogs). Followers, readers, criticisms, appreciations...thats what a blogger's world consists of. Posting a blog only gives partial satisfaction. When my posts receive comments (positive or negative), thats where the other half of the satisfaction comes from. After posting a blog, I have often received emails or facebook messages from readers, wanting to discuss more on the topic. Its probably then that I realized, how important it is, at times, to have a communication platform right on the blog, where the readers and critics could immediately start a conversation about something they like or dislike about the post. Adding the Scrollback widget to my blogpost was not out of any obligation or commitment towards my job. It was a very selfish decision from my end to be able to communicate better with my readers. 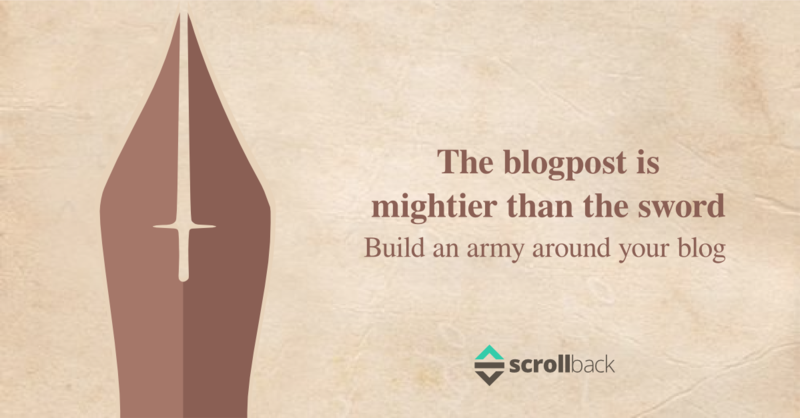 It was after adding the Scrollback widget that my army around my blog got stronger. People started reaching out to me on my Scrollback room, asking me more about why I wrote something, why I felt a certain way (referring to some writing) and sometimes also talking about how they shared similar feelings. All those readers of mine, who would like to talk to me, but wouldn't want to find me on facebook or write a long email, now found a much better way to reach out to me, instantly. I could also reply to them, almost instantly. Ofcourse not everyone likes what I write. I even had messages from the 'anonymous' readers, saying how I am doing it all wrong and how I need to think better. Well, even those messages have been helpful....helping see the other side of the coin. I am not a great writer, but I appreciate the criticisms received, which often help me improve. P.S - If you go through my Scrollback room's chat log, you won't find much content there. Most of the time, when I have a very intense discussion with someone on any topic, I prefer to remove the logs after the conversations so that others don't need to suffer from the impact of those conversations. This should not be coming as a big surprise to anyone who has seen my last post on Facebook regarding my decision to leave all community activities in Mozilla India. Well, this is a followup on that. 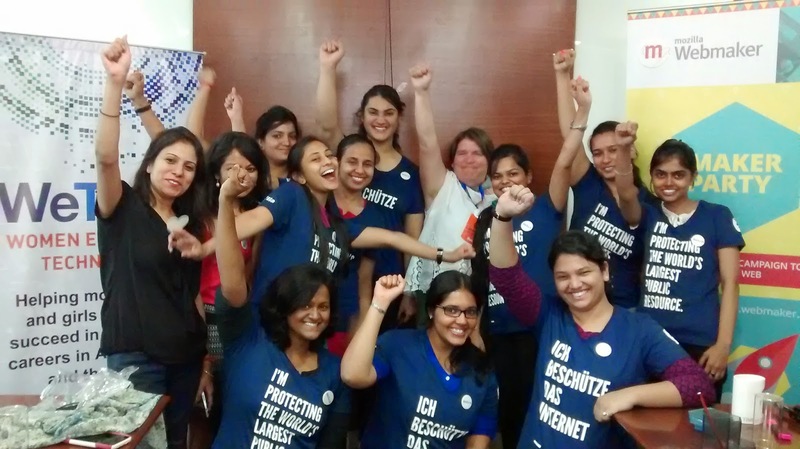 Abiding by my previous decision, here I am, taking a voluntary retirement from all community activities related with the Mozilla India community. I had taken up some responsibility for this year's MozFest and didn't wanna spoil that job for sure. 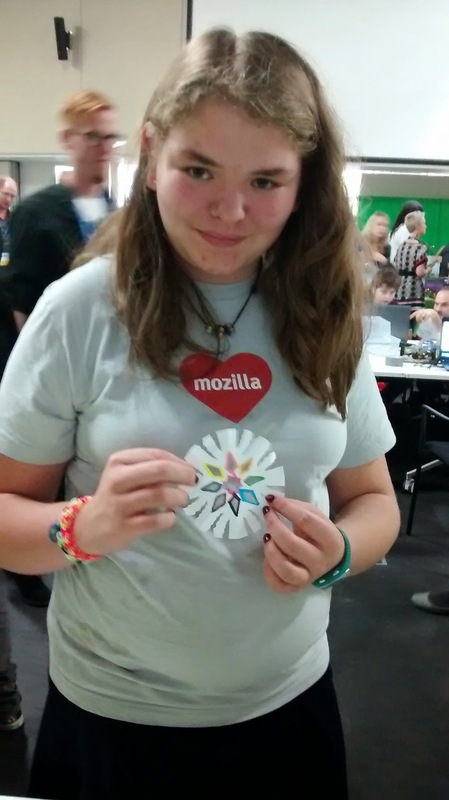 MozFest has always been awesome...its awesome even now, except the cold war I am unfortunately having to face with my own community people here. I had to set up a Hive India booth at the Maker Party here at MozFest, and I was determined to do it to the best of my capabilities. I had been almost begging my own community members, who are here at the MozFest, to help me plan and execute the session. But, not to my surprise, I received absolutely no help and only ignorance from my entire team here. Ofcourse I am not forgetting the only rockstar who rescued me and my session today, Umesh Agarwal. I also shouldn't forget to thank Sayak for remotely putting in all the possible help and support to keep me from breaking down into tears, with all the struggles here. Well, fortunately for all of us, the session didn't go that bad. 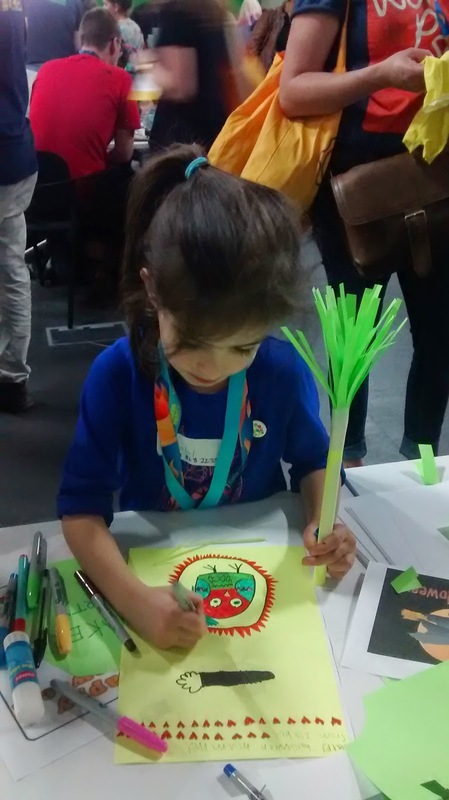 Umesh and I did manage to grab some attention and engage with the kids during the Maker Party at MozFest'14. 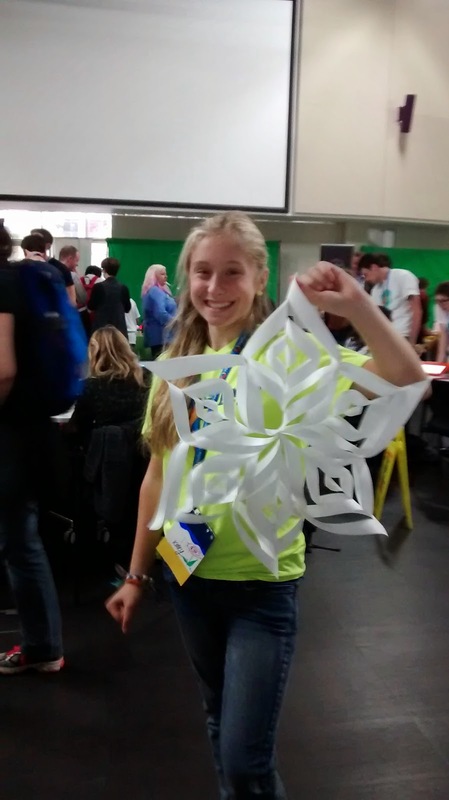 A big thanks to the entire Hive team for giving me the opportunity to represent Hive India here at MozFest this year. Now that the last responsibility is completed, I would like to peacefully walk out of the community. p.s - I am definitely not trying to start any revolution here. Nor am I complaining against anyone. Also, I am not leaving Mozilla. I will continue my contribution as a volunteer in all other possible ways. I am just gonna keep myself safely away from all community activities in India. Kerala...God's own country. I had always wanted to visit it, but never had a chance of being there. 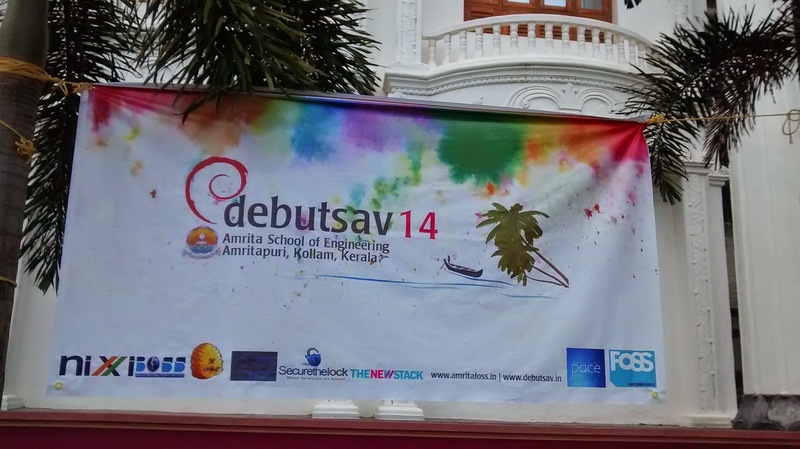 One evening, I suddenly received a very unexpected call, inviting me to be a part of Debutsab'14 at Amrita college, Kerala. Though it was Kerala, I wasn't entirely enthusiastic for this event. I not been keeping too well for the last few days and doctor had strictly asked me to work less and rest more! Attending one more event at this time would definitely mean another hectic trip. But someone, the idea of introducing Scrollback to another community of open source lovers, talking about this awesome project to a new group of people was an idea which I couldn't entirely ignore. After some discussion with the rest of the Scrollback team, I decided to take this event up. 13 hours to reach Ernakulam, 3 hours from there to reach Kayankulam and another 30 mins ride to finally reach Amritapuri...it wasn't a very easy or comfortable journey. But once I reached Amritapuri, I realized that this long trip was totally worth it. Kerala, rightly called God's own country. The campus was beautiful. 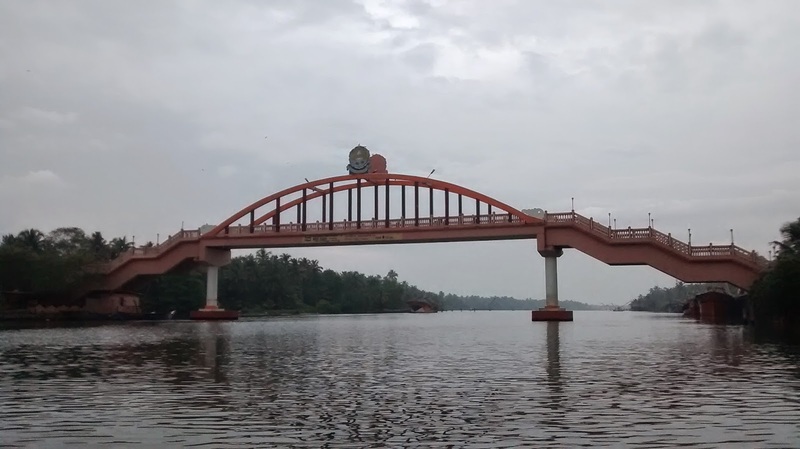 Backwaters, boats, sea, loads of coconut trees, a very clean beach and a very peaceful environment, the campus had it all. When I had left for this event, I was really wondering about my next few days. I knew I was not going to be welcomed by too many known faces here! But, once I was there, I realized how like minds often don't need much time to get along. I was meeting almost everyone for the first time, but it didn't feel like so after the initial 5 minutes of the conversations. Sometimes, strangers don't feel strange at all...and that is exactly what happened to me here. On the first day of the event, I took the stage for some 15 minutes to give a quick demo of Scrollback, so that every participant of the event could use Scrollback as the communication platform during as well as after the event, to keep the network alive. On the second day, I did occupy the podium for a little longer, talking about why Scrollback was built, inspite of having so many other communication media. The three days actually passed way faster than expected. I had to leave a little early, before the event could be closed, but the time I did spend with everyone at Amritapuri is totally unforgettable. Last weekend I had a blast in Bhubaneshwar. 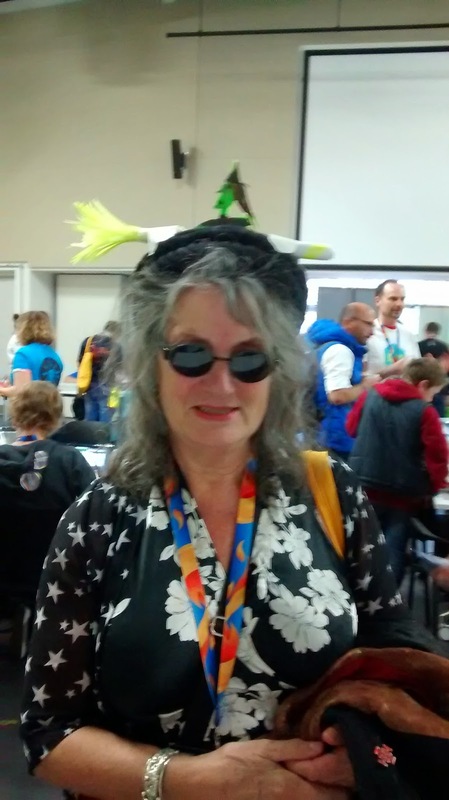 Over two days, I was there at two different colleges for two Maker parties. 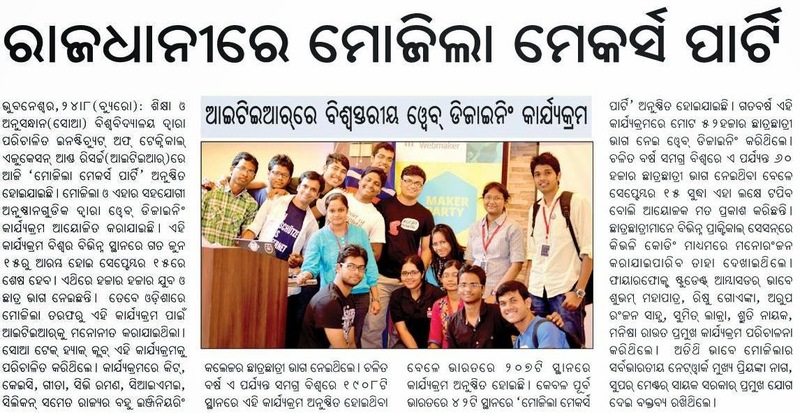 Saturday (23rd August 2014), we were at the Center of IT & Management Education (CIME) where we were asked to address a crowd of 100 participants whom we were supposed to teach webmaking. Trust me, very rarely do we get such crowd in events where we get the opportunity to be less of a teacher and more of a learner. We taught them Webmaking, true, but in return we learnt a lot from them. On Sunday, things were even more fabulous at Institute of Technical Education & Research(ITER), Siksha 'O' Anusandhan University college, where we were welcomed by around 400 participants, all filled with energy, enthusiasm and the willingness to learn. Both days, we concluded our sessions by giving away some small tokens of appreciation like e T-shirts, badges, stickers etc, to the people who had been extra awesome among the group. We concluded the awesomeness of the two days by cutting a very delicious cake and fighting over it till its last pieces. Bading goodbye after two days was tough, but after witnessing the enthusiasm of everyone we met during these two events, I am very sure we are going to return soon to Bhubaneshwar for even more awesomeness. Sayak Sarkar, the co-organizer for this event. Sumantro, Umesh and Sukanta from travelling all the way from Kolkata and helping us out with the sessions. Rish and Prasanna for organizing these events. Most importantly, the entire team of volunteers from both colleges without whom we wouldn't havebeen able to even move a desk. p.s - Not to forget, we did manage to grab media's attention as well. The event was covered by a local newspaper. While going through my twitter time-line this evening, I noticed Michelle Thorne's tweet stating that India leads with most Maker Party action this season. Well, who doubts that! 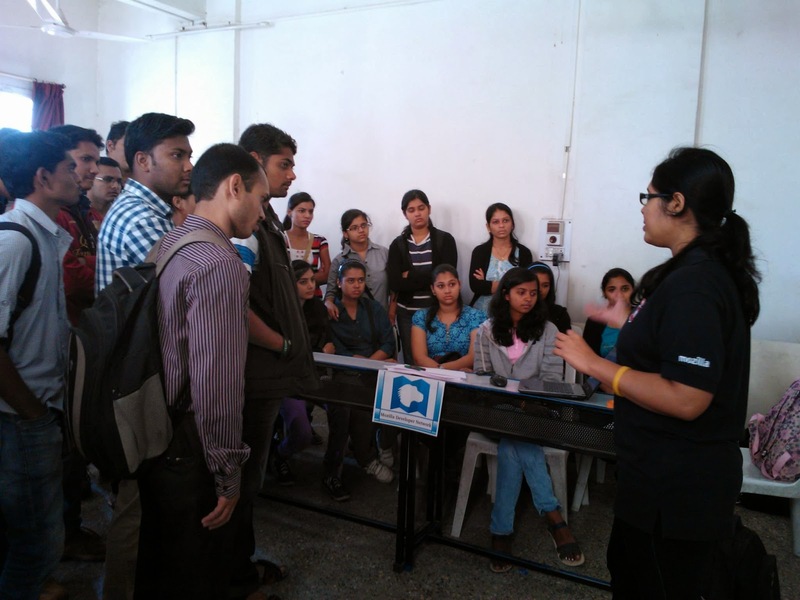 In India, we have a maker parties being organized almost every second day. My facebook wall and twitter timelime is like overloaded with posts, photos and updates from all the Maker Parties happening around me. Well, if you are still not aware of this one, we are having the grand daddy of this maker parties in Pune on the 6th of September 2014. The executive director of Mozilla Foundation, Mark Surman, is going to be personally present for this event. 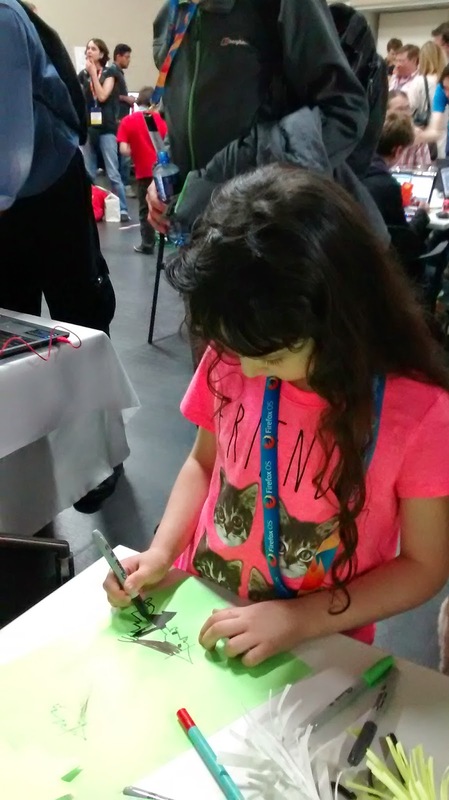 Just like all maker parties, this event is an attempt to map and empower a community of educators and creative people who share a passion to innovate, evolve and change the learning landscape. Science fair will be from 12 noon to 6pm. Long term partnership prospect meeting with partners. 2nd Half: Community training sessions on Hive and Train the trainer events. 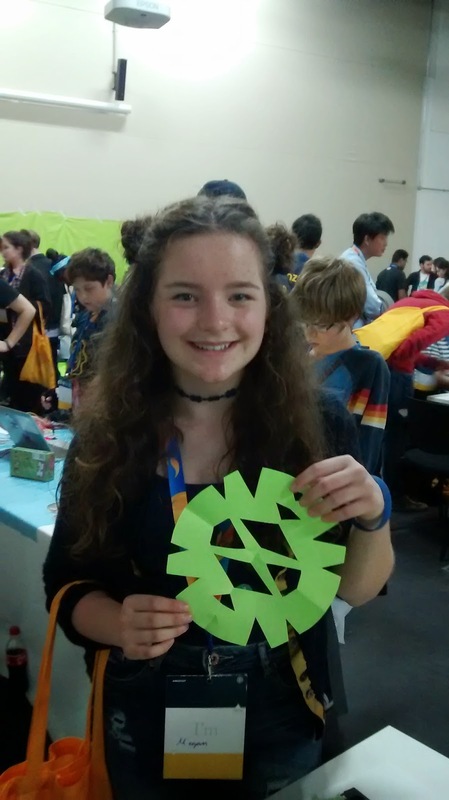 For this event, we are having a variety of different training sessions, workshops and science displays - starting from 3D printing to wood-works, Origami to quad-copter flying and even film making. It always feels good to be appreciated and bad to be criticized. Most of the time I am able to deal well with the appreciation but get very defensive about the criticism. I like to be addressed as a newbie in the Open Source world...cause there are still many things I need to learn (for sure)...many things I need to understand. I make mistakes, I know I do....but all I expect is, my mistakes should not be associated with the organizations I represent! Last week, during one of my talks at the FSMK Summer camp in Bangalore, one of my statement probably came out wrong.The way I wanted to present it was probably not the way the audience had perceived it. It kind of went out of hand later on Twitter. I am making this blog post to apologize for the mistakes of last week with full faith that the matter will be resolved and closed right here and no grievances of the incident will be held further. Well, I love the name Larissa came up with for today's event. 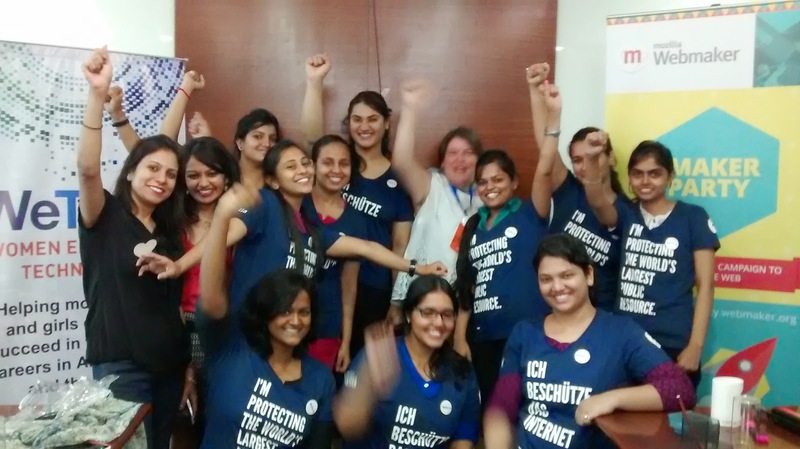 It is kind of a little long but defines the event best - "Mozilla and WeTech Woman’s Maker Party". 23rd morning began with all excitement. It was a small crowd, but a really awesome crowd in that conference room. Right from the introduction session, we could feel the high intellectual capabilities these young ladies were filled with. After a small game of spectrogram, we immediately moved to introduce Mozilla as an organization as well as all the Mozilla projects. 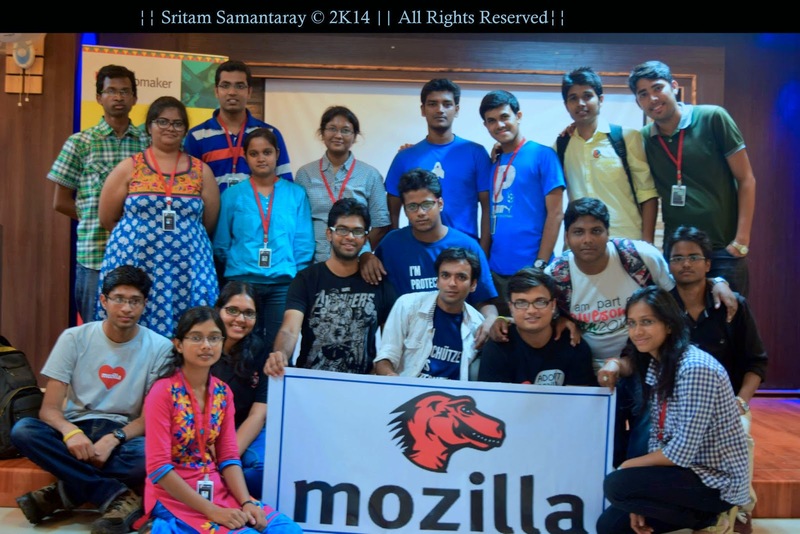 To my surprise, most of the participants already knew about Open Source and had a fair idea about Mozilla. To my greater surprise, all of our participants had used Firefox at some point of time (even if it was not their default/regular browser). 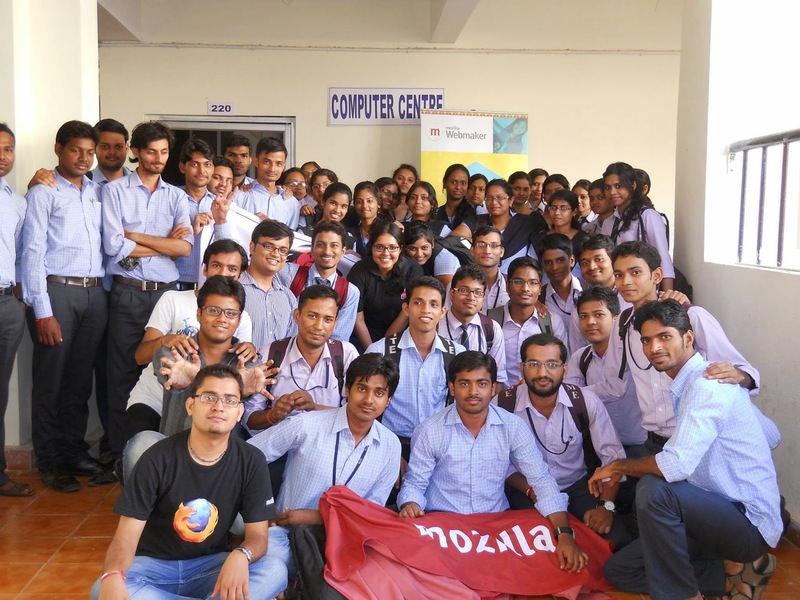 It was thus easy to introduce the different Mozilla projects and contribution pathways to them. The confidence these dynamic ladies did showcase was beyond appreciation. 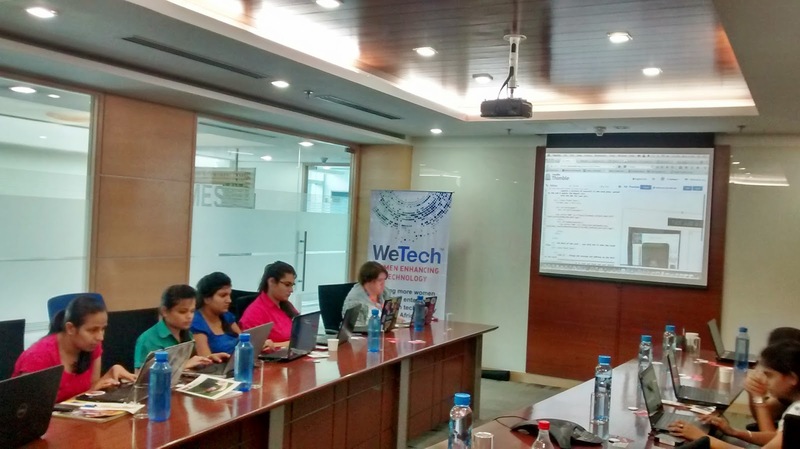 One thing each person in the room agreed to was - "being a woman in technology is indeed tough". But these girls were ready to face the tough world and fight it out for themselves! Post lunch, we got to some webmaking. So much hacking, so much remixing...it was tough to believe that many of these people were "not from a technical background". Some of the awesome makes can be found listed on this spreadsheet. Well, it goes beyond saying that these superstarts definitely deserved some awards for their awesomeness and thus, we did give them some webmaker badges. Very few events have given me the happiness of being able to convert almost all participants into Mozillians and this was one of those rare ones. 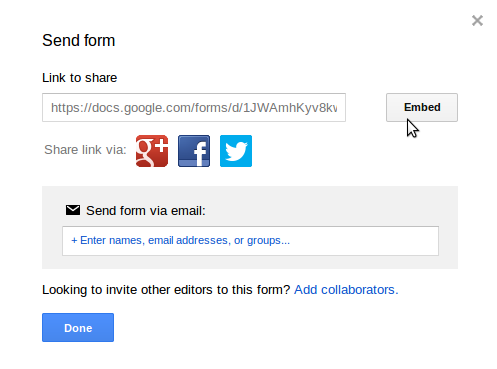 The process of embedding a Google form on your Wordpress blog post is pretty simple. Rather, this same process can be used to embed a Google form on a Blogger post or any other webpage. 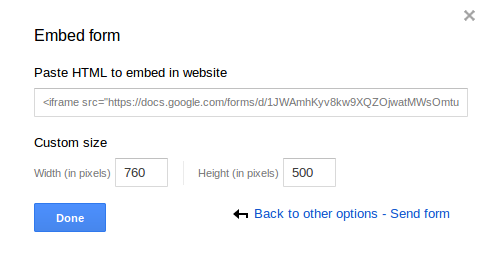 Once you are done creating the Google form, when you click on the 'Send form' button, you will see a Embed button on the modal window. On clicking the Embed button, you will get an html iframe code which can be copied and pasted on any webpage. If you are trying to embed the form on your webpage, all you need to do is copy the html iframe code and paste it in the <body> section of your html. If you are trying to embed the form in your wordpress or blogger site, while creating the post, switch to the "HTML" version and put this iframe code in the appropriate position wherever you want to embed it in your post. Once the code is put in place, you will get the google form embeded inside your webpage, be it Wordpress, blogger or simple html. Its been a bit more than half a month that I have moved to Bangalore and started my work life here at Scrollback. Thought it was a good time to give my first review about my new life. Scrollback team consist of eight members (including me)...and it literally took me less than 2 days to get all those 7 members converted from 'colleagues' to 'friends'. Well, when I say this statement, I actually include the two founders in my friend-list...thats how informal this place is and thats exactly how we never follow any hierarchy here! These were all the work that I was supposed to do and have done. Now lets come to the interesting part of things- I have tried and helped in an A/C installation inside our office, had almost killed two of my co-workers during a game play, choked my entire team to death while trying to clean the white board with my deodorant and also made the horriblest possible tea during a meeting! Life in Scrollback in the last half month actually took me back to my college days...FUN! FUN! FUN! 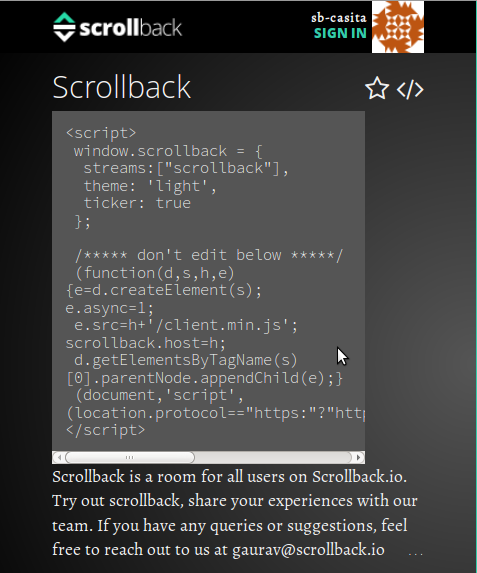 If you are not already aware of what Scrollback is, here is a small introduction to Scrollback. "Scrollback is a beautiful, open source text chat service designed for communities. Scrollback chat rooms can be embedded in websites and linked with Twitter hashtags or IRC channels." [You can visit the Scrollback site for a better understanding]. Many community websites and personal websites have adopted Scrollback and embedded it into their sites. A great example for this is the Mozilla India website. Here are a few simple steps following which you can easily embed Scrollback in your personal website. 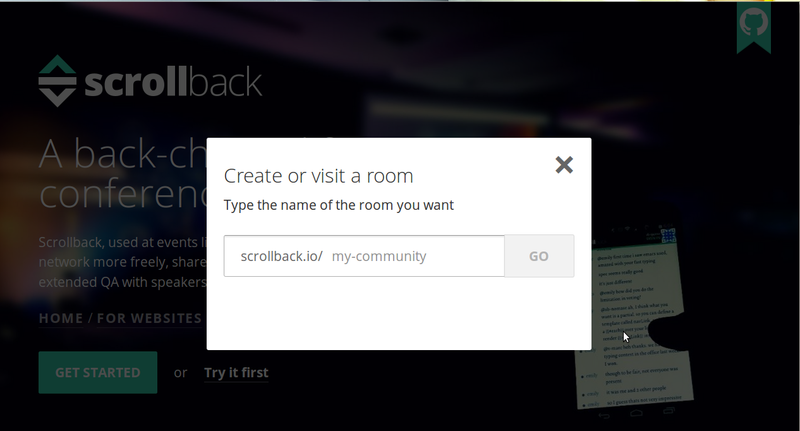 Step 1: On the Scrollback website, create your own chat room. This chat-room will be the one which will get embedded into your site. Step 2: Once the room is created, you will automatically be re-directed to your room's page. On your room’s page, the left column will have all information about your room along with an option to 'embed script'. Step 3: Copy the entire script that appears in the small grey window. Step 4: On your personal website's code, you will simply need to paste the script before the closing '</head>' tag. A simple example of how to add the code patch can be found here. If you have a wordpress site, you might need to follow a bit different process to get Scrollback on your website. You might find some help here for that. If you still have some problem or want to talk to the Scrollback them, you might find them here. 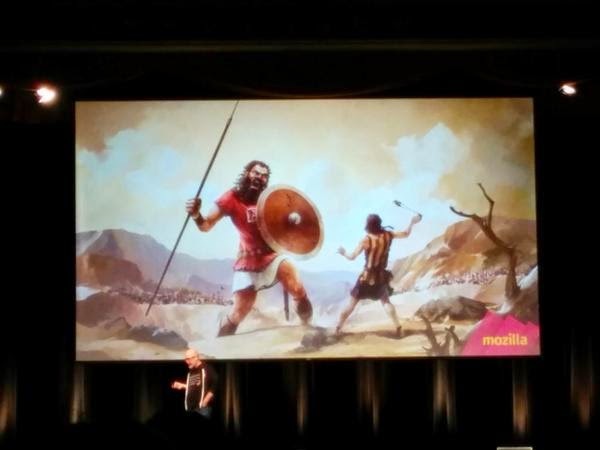 I am sure many of you have received an email last day whose subject line was "Invitation to MozCamp Beta India". I am not sure if you were surprised (or confused) with the 'Beta' word and its significance in the event name. Personally, I have never been to a MozCamp before but what I understand after my conversations with several former MozCamp attendees (please correct me if I am wrong), it used to be a gathering for all Mozillians of a region (mostly continent level) to be able to interact with each other. People who have been working virtually were given a chance to meet in reality during this. Also,these MozCamps used to focus a lot on cross community interactions and cross-cultural learnings. The structure of MozCamp is getting a bit modified from this year. Starting this year, MozCamp is going to be more like a 'Train the trainer' sort of event. 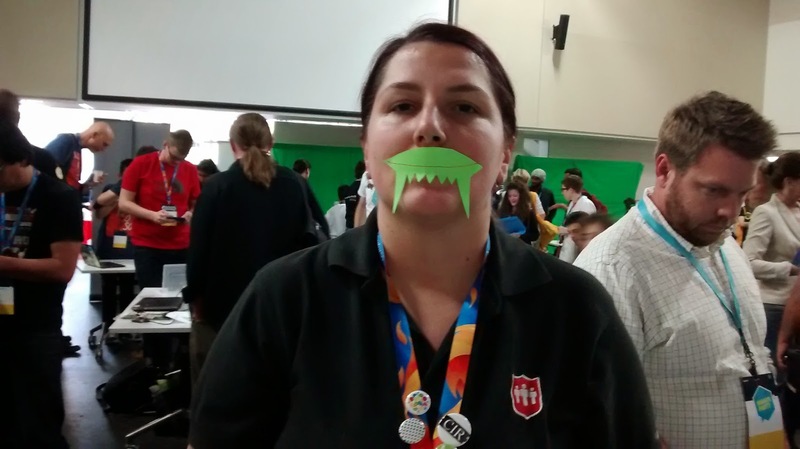 Unlike previous MozCamps, not all active Mozillians will be called down to attend a MozCamp. Only selected ones will be invited to come and get trained to be better trainers in respective pathways (task-forces as we call them in India) and will also be responsible to recruit new Mozillians in their respective communities. 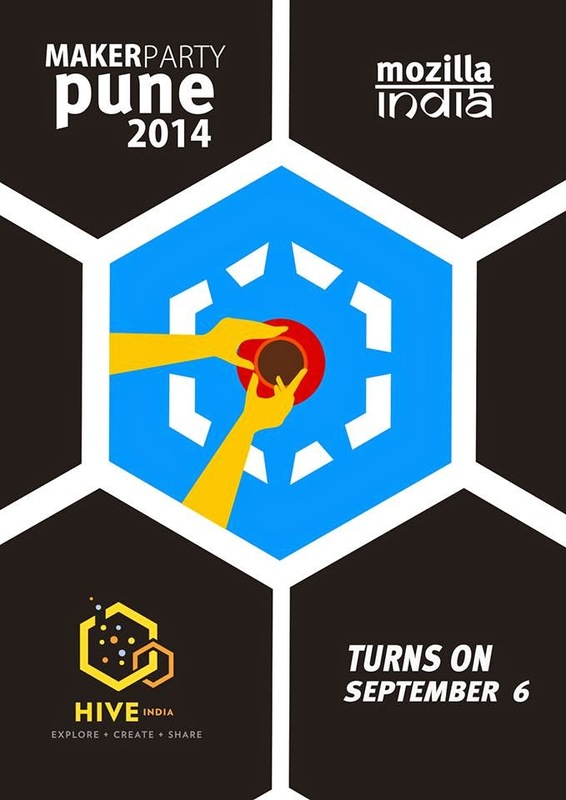 Why this new design of MozCamp? If you remember, one of the biggest goal for Mozilla this year is, getting a million Mozillians. And only an active Mozilla global community can make this dream come true. Inorder to do that, we will need a lot of Mozillians to be able to host events, train (and mentor) newcomers and keep encouraging new people to be a part of this awesome community. 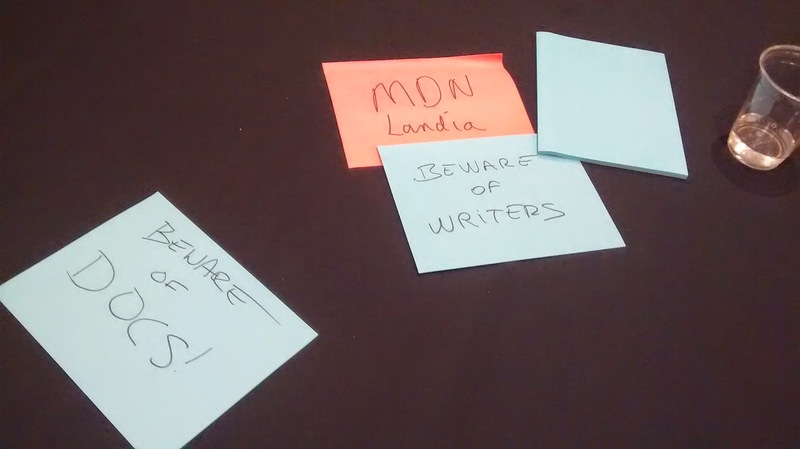 How are the participants of a MozCamp going to be selected? In general, the plan is to make this process application based (i.e. Mozillians will apply to be a part of MozCamp and from the list of applicants, selection will be done). But for MozCamp India we didn't have sufficient time for an application process and thus the pathway and community leaders together nominated the probable applicants and then these nominations were voted to be final participants. Ofcourse all of these were not done randomly, there were some definite pre-requisites for the formation of this participant list. Please check this wiki page for the invitation criteria for the MozCamp Beta India. Why is the "Beta" tag attached to the event name? Since MozCamp is being restructured, the first event in India is going to be like a test version of the original ones. The new structure, the content covered and also the overall conduction of this event are the major testing criteria. Thus, just like a software release is preceded by a 'beta' release, before the original MozCamps, we are having the 'beta' event. Will there be other MozCamps after the beta one this year? Yes. Just like we used to have, we will continue having MozCamp Asia, Europe Latin America and all the other ones. And yes the Indian participants will again be invited to attend MozCamp Asia but since you will be already trained once, get prepared to hold more responsibilities in the bigger MozCamp. What is the venue for MozCamp India? For more information, you can refer to this wiki page. What is there in it for the community? This is probably the most important question we should all ask ourselves. One of the main reasons why India was chosen as the venue for test run was the active contribution from this region of the globe. When an event of this scale was being planned in less than 6 weeks time, it was a challenge for the entire community to get together and make this happen and yes, we have boldly accepted the challenge. The Indian community (I believe) has all the skill-set required to make this event a super success. So, before I conclude, I would like to remind you that incase if you have not received an invitation for this MozCamp beta, its no way an implication that you are not awesome or your contribution is not being valued. There was a limitation on the number of participants that could be included in MozCamp India and thus, there might be some criteria based on which someone else had to be accommodated this time. My first two days in Scrollback started a bit differently than all other conventional "first day" at office experiences. I was lucky to have been able to skip my office desk for the first two days and place myself in the MLR Convention Centre, Bangalore to be a part of RootConf 2014. I wasn't an attendee, rather wore a proud "Crew" badge for 2 days and did help the HasGeek team in the conduction of the event for two days. DevOps is not much of my domain and honestly, I do not understand much of it either. I didn't spend too much time inside the auditorium as well, I ended up spending most of my time outside it. I was officially supposed to be in the T-shirt stall to give away (not free) T-shirts but I guess I could be blamed for lingering around for most of the time, catching hold of awesome people and bugging them with some random stuff. Well, jokes apart, I did meet some awesome people during these two days and did manage to proudly show myself off to them as a new member of the Scrollback team. If you were looking for a technical update of the conference, I am sorry to have wasted your time, you will probably need to read someone else's blog post for that part. I would say I am loving Bangalore already. Finally, from Monday, I am looking forward to get my hands a little dirty with the code-base of Scrollback. My first year in Mozilla was more of experimental...I began my Mozilla journey with localization. Then tried my hands on some awesome Webmaking...and finally I got into MDN. Once I got introduced to MDN, I instantly fell in love with it. The MDN project had everything I like...an awesome blend of both documentation and coding. My MDN contribution till before the work-week had mostly been small documentation edits here and there, some playing around with KUMA and a lot of MDN Evangelism. When I got the invitation mail for MDN workweek, Paris, I was already on cloud nine. I had got a chance of meeting a few members of the MDN team previously in Santa Clara during the Mozilla Summit, and the very idea of getting to work with them again was super thrilling! Kaustav and I had reached Paris on the 5th of March. It was our immediate instinct to visit the Paris office where we were hoping to find a few other participants of the work-week. We met Christian at the office. Well, walking on the streets of Paris with Christian is something not very easily achievable...that every moment I knew that this trip was going to be super awesome. 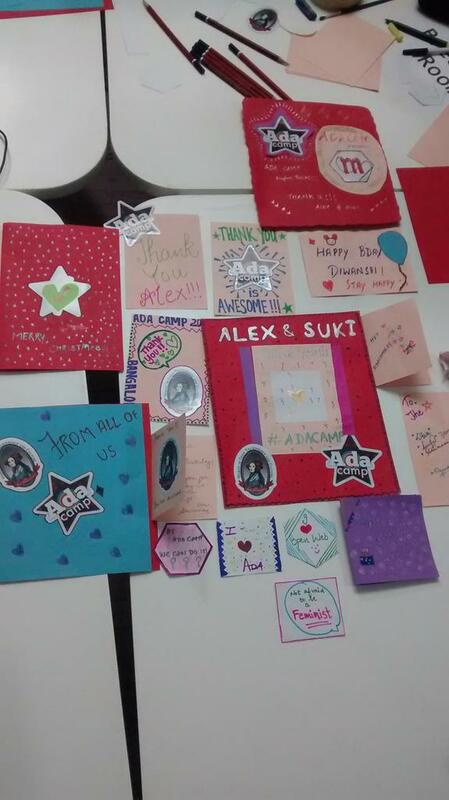 Next day, we were honored to be able to join all the staffs in the Paris office. Kaustav and I were the only volunteers there and the pride we felt sitting in that room is beyond explanation. MDN work-week began on the 7th of March with a blast. There were 16 volunteers and 18 paid staff from 11 countries (France, USA, Canada, UK, Sweden, Italy, Poland, Germany, India, Bangladesh, Brazil) who worked together to finish 23 projects, touched 400+ bugs. MDN Workweek was the perfect example of Work hard, party harder. After the entire day's hard work, we would be taken to some awesome French restaurant for mouth watering food and heavenly French wine. My agenda for the MDN workweek was to build a start-up page for new contributors so that whenever new contributors ask - "How do I contribute to MDN", we have the one work answer to that. Here, I shouldn't forget to thank Janet, Kaustav and Sheppy for helping me in getting the page completed. Along with this project, I also did help Janet and Kaustav complete the event format for MDN events and publish the page on Mozilla Wiki. The page can be found here. Another very interesting stuff that I got to work on during the work-week was the planning of Dev Derby launch with Kensie. MDN Workweek was an experience of a lifetime and I indeed feel immensely lucky to have been able to be a part of such an event. For the entire awesome experience, I would like to thank Ali Spivak, who had managed the entire event in the most efficient manner I have ever seen. 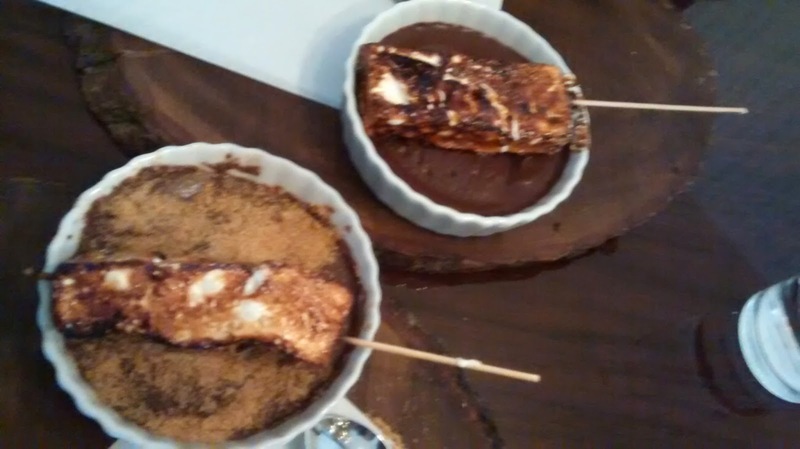 My after event blog posts are generally a report of the event...if you are looking for a report of the MDN Work-week, this is not the right post. This post is a complete non-technical and non-work oriented story of how I fell in love in and with Paris. Paris had been a dream of mine for quite a long time, and the first time I got the invitation for MDN Workweek, I kind of knew this one was going to be awesome! Paris is beautiful...way more beautiful than my words can ever express. Every moment of this one weekend feels like a long, beautiful dream. Everything is too perfect here. This city has a weird kind of "intoxication" in its air. The more you breadth in the cool air, the more you fall in love with this city. The weather here couldn't probably be any better...its perfectly cool....not too hot, not too cold. Refreshing cool breeze just washes away all your worries and stress. Someone couldn't probably be upset in this city...its awesomeness is bound to wash all the sadness away! The air of Paris is affected with the viral of love and I caught this flu one afternoon while walking down Sion. I fell in love...with the city...with every bit of it. The weather, the scenery, the people around, the its peacefulness and serenity...with everything. This city has been able to wonderfully hold on to its heritage but not at the cost of cutting itself off from the modern amenities or technologies. Here in Paris, you will see a lot of old buildings, all equipped with modern gadgets....these buildings have huge,heavy and decorated entrance, with the most sophisticated security system installed on them...these are like the perfect blend of heritage with modernization! Both French food and French wine are really tempting and a treat to your taste-buds. They tastes too good and are presented a bit too well. Another thing about this city that I fell in love with, are the people here. Even strangers cannot pass by you on the streets without a "Bonjour" and a friendly smile. Weird right? Yes, it is. And that is why this city completely won me over. I have five days in this awesome city...and I am living every moment of it to the fullest! This was my third GNUnify in a row as a participant....and the second one as an organizer. Being a student of SICSR and a member of PLUG, GNUnify is somehow way more than just another conference....its MY conference. Everything about GNUnify is a bit too special for me. Right from 7th of Feb, right from a week before the commencement of the event, I went to college almost every evening; to jump into the excitement of GNUnify preparation. Its very difficult to explain others how we get this passion for the so called EXTRA work after office, but we who live it...just LOVE it! GNUnify is of-course way more to me than just the Mozilla Dev rooms. This year, the Mozilla Dev rooms were a tough job though...due to the lack of budget. Lack of a proper space- The space provided wasn't exactly a suitable structure for booths. Improper crowd management - When in a technical conference, we never like to wait. Initially our booths were sooo much crowded that people had to wait outside the room which eventually ended up in us losing them. Improper publicity- Somehow, the entire booth format wasn't well advertised to our audience. The people who visited the Mozilla rooms expected the traditional tracks and were disappointed not to find them. Day two went much better. On this day, we had several different tracks like: Webmaker, MDN, Localization, Privacy & Security, Rust, Firefos OS, Reps and FSA. Things went better than expected here. There were sessions like Firefox OS where we had to send some of our audience away due to the lack of sitting space in the Dev rooms. For any Open Source conference, using Windows OS while making a presentation should be strictly avoided. The Mozillians had to face some criticism as some of our speakers forgot this rule of thumb. A little more coordination is required within the team...mainly in situation where we have limited resources and a huge responsibility, everyone needs to understand their role well. Globetrotting, meeting new(awesome) people, getting a chance of public speaking, exchange of knowledge....everything I always loved was given to me by Mozilla; by giving me a chance to host and participate in several of its events. I became greedier with time and starting getting involved in more and more events. In the last 4 months, I have been out for some or the other event every weekend. It feels great when people invite me to their event as a speaker. But in the entire 'Oh I am loving it mode...' I have neglected by job enough. I work in a start-up which deserves a bit more attention from me than I am currently giving. There are two events that I have already committed to, after that (from March 10th) I am taking an official break from events for the next few months. I will continue my contribution in all other forms in my free time. The offers to speak at an event are always too tempting and really tough to turn down, so I am writing this blog post to let everyone know that I am not available for any event for the next two to three months. I never knew the dream would come true so soon, that too, it was a dream come true++ scenario for me. 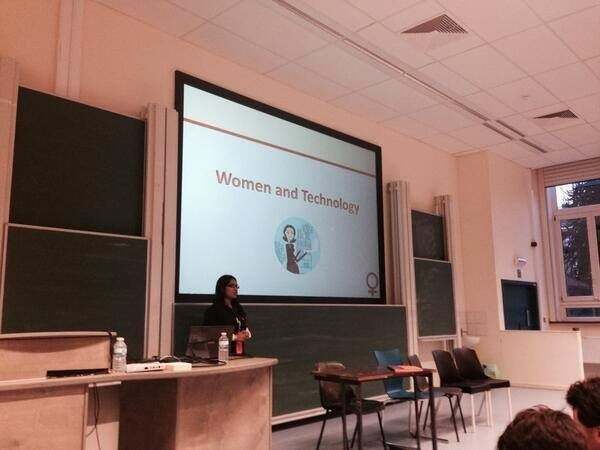 I was not only invited to FOSDEM, I was invited to give a talk on the platform of FOSDEM. I still remember the exact feeling when I had received that email which read "Your talk proposal for the Mozilla DevRoom at FOSDEM 2014 has been accepted!". I was on cloud nine....too happy to be able to share the news with even the people sitting next to me in office (I was in my workplace at that time). From the day of receiving the invitation to the day of travel...things moved a bit too fast and even before I had realized, I was already in the flight for Brussels. Brussels welcomed us with an awesome climate. The temperature was 0'C when we landed. I was warm in my jacket but I remember not being able to feel my hands after being out for sometime. The hotel was at a great location....so centrally located that we had seen most of Brussels just by taking a walk around our hotel on the first day itself. It was in the evening that I met the rest of the Mozillians over dinner. I was literally the youngest one in the team and I bet was the one most scared (for the talk) among them all. Later that night, we had the FOSDEM bear party where I had the chance of meeting some of the awesomest minds of the Open Source world. I wish I could stay back longer at the party that night, but my unfinished slides didn't allow me to do so. I left early and rushed back to my room to complete my slides and run through them, just to be prepared for the big day. The bus we took to the venue was jam-packed and I was astonished to know that most of them (about 95%) were actually travelling to the same place as I was. Someone had mockingly said in the bus-'if we could hijack this bus now, we could build the Operating System of our dreams. This bus has some of the best brains of the world'. 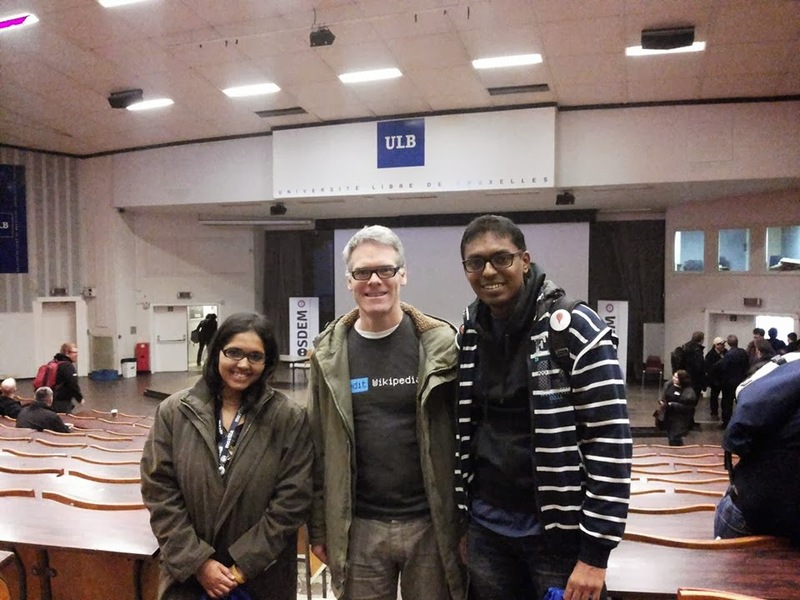 As soon as I entered ULB Campus, I was thrilled! I had never expected such a crowd in an Open Source event. It was only at 5pm when my blood pressure started rising...my talk was the next one in line. I was scared like hell but somehow the moment I got on the stage and held that mike and few familiar faces wished me luck, I got an unknown strength to address a crowd of 280+ people. This was my first ever talk in a platform like FOSDEM, addressing a crowd this huge! In the next 30 minutes I just lived my dream. I knew this was the moment I had dreamt about all my life. I can't be a good judge of my own performance, but the tweets I had received during and after the talk were really encouraging. The next was more of enjoying and less of responsibility. I went around all the buildings, visiting all the booths, talking to people, building contacts (and of-course collecting swags). I met some awesome people that day...some whom if I describe as 'genius' it would probably be an understatement. I also got to meet a few people whom I had previously interacted with,online, but never met before. The most amazing part of this day was when I was told that someone had come at the Mozilla booth, looking for me. When I reached the booth, there was a man who was waiting to interview me and know my journey in the FOSS world. He said that my story could encourage other girls to get involved with Open Source development. Trust me when I say that there is no feeling better than knowing that your story could make a difference to someone else's life.